What MD has not already spoken about the unusability factor buried deep in your key board and/or mouse. The requirements for HIPAA security, Meaningful use attestations, and interoperability are key requirements for MU. 30% of EHR users are dissatisfied with their current EHR and plan to replace them. (KLAS) If your practice is one of them and you are faced with a large expense to upgrade your HIT system you will want to find a new EHR that meets all MU requirememts. Vendors have received considerable feedback (criticism) about their present system’s inadequate framework for clinical patient flow and have time to redesign their software. Prior to the finality of MU3 now may be the time for a new EHR. The confluence of the Affordable Care Act, proposed Accountable Care Organizations, Increasing meaningul use mandates, improved Cloud services, vendor experience leading to some improvement in user friendliness, and user experiences and demand provide a fertile environment for change. Calculating ROI with the old system vs a new one has to do with flow, efficiency, and the cost of replacement. If your EHR runs in the cloud the decision is simple...the changes are done at the host site. All software changes are performed off site in the vendor’s facility. eliminating any work disruption at the clinic. Your original vendor contract should have had stipulations for the added expense of upgrading to meet eventualities of MU or other requirements. Since there is much competition among vendors, a competitive advantage may be the offering of enhanced maintenance and software upgrades. If you are ‘retiring” your present system due to regulatory changes, consult with your accountant and legal counsel whether you can accelerate the depreciation and write off a portion of the expected life of your old system. If possible this may ease some of the pain of a poor investment. Most EHRs were built upon features present in a practice management system, designed to maximize reimbursement, and maximize charge for each encounter. The new paradigm will be based not upon volume but upon improved outcomes, and decreased cost, for at least some of the encounters. The field of ACO is new, everyone knows what an ACO is supposed to do, but it is hard to find one. Several ACOs now are operating and some early statistics show savings and reduction in costs. Interoperability is a requirment of MU1 and the ONC encouraged this with a framework for disparage EHRs to communicate with each other. Regional Health Information Exchanges experienced a challenge in developing sustainable business plans not dependent upon long term government grants, although the HITECH Act provided start up capital. 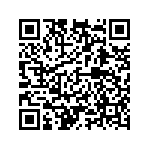 A new niche industry developed for HIE infrastructure. Some hospitals and providers have committed to these HIEs, but there is a significant difference between potential users and those in the HIE. Many providers have interoperable systems, and have attested to it’s use. However many do not use the feature either because pre-existing methods are in use or there are no other providers to communicate. An analysis of our regional health information exchange IHIE.org reveals this fact. The analysis is from the largest HIX in Southern California, and may differ significantly from other organizations. Accountable Care Organizations will require data and the HIX may provide that avenue to collect and display operational numbers for the ACO. HIX may become more affordable with expanding functionality to include ACOs requirments without building an entire new infrastructure. CMS opened three “War Rooms” during the start of the Health.gov website. It was a high priority for the White House Chief of Staff, Denis McDonough who commuted almost daily between CMS headquarters in Bethesda, MD (home of CMS) and 1600 Pennsylvania Avenue. It was so disorganized that 3 war rooms were needed either by design or by default. The ‘Joint Chiefs’ of Health.gov included CMS head Marilyn Tavenner, Jeanne Lambrew, and HHS head Kathleen Sebelius. The group failed to find ‘actionable intel’ about how and why the website was failing for all to see They resorted to opening their laptops at the White House and tried to log on to health.gov . The initial findings were the website was not able to process the number of simultaneous users. Five days after it’s opening Todd Park, the U.S. Chief Technology officer told USA Today health.gov was designed for 50,000 simultaneous users, and 250,000 attempted to use it at the same time. The real amazing fact was that Todd Park was never involved in the design of the system. Park is a highly successful health-care tech entrepeneur. During the redesign it was found the site was designed to only handle a few thousand users. Chief of Staff Denis McDonough’s assignment was to determine if it (Obamacare)_should be abandoned entirely. Yes, on October 17 the President was ready to scrap the whole thing. The latest figures for the uninsured who have enrolled in the Affordable Care Act is around 4.6-5.0 million. The original number targetted by health.gov was 5.0 million new enrollees. Their goal was very conservative since the original number for the uninsured was over 40 million. Either way the reality is that the number of uninsured has only diminished to 45 million. Perhaps HHS and CMS were prescient in setting such a low goal to not disappoint, or make themselves feel successful. The 5.0 million enrollees was the threshold for the new algorithms to guarrantee solvency for the new risk pools, and that may be why that goal was named. Unfortunately the enrollment period ends on March 31st. 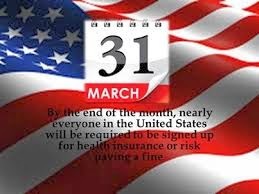 This date is not an arbitrary date mandated by HHS, and is the insurance industry standard for enrollments. There is nothing preventing the date from being extended. 1. Halt enrollment and have enrollees insured this year. 3. Consider halting further enrollment until another plan is designed. Many uninsured evaluated the offers and decided to wait and see. Many factors were in play, including provider directory errors, web site difficulties, subsidized rates were confusing as generated by the benefit exchanges. There was a lack of clarity how Medicaid would be expanded and no details in regard to financial requirements, assets, family size, etc. For those familiar with Medi-caid there are asset restrictions to remain eligible for Medicaid. There was no mentioin of how ACA Medicaid is different from ordinary Medicaid. Those who have already enrolled should not be disadvantaged by a newer version of the ACA and can be maintained until the new program is operatiional. Government, insurance companies and other regulators have piled more bureaucracy with each new idea on how to save money. Each change decreases reimbursement and increases overhead for providers and hospitals. Despite this never-ending demand, providers and hospitals have outsmarted all these efforts as a meaure for survival. The initial result is not only disappointing and reveals the inadequacy of the planners and the impossibility to predict demographics of enrollees. The only thing which will guarrantee solvency will be federal guarrantees. This may be the first phase of a health industry bailout . The Federal Reserve needs to warm up the printing press. AFFORDABLE CARE ACT AND RISK ANALYSIS, OR WHAT WILL MY PREMIUM BE IN 2015? Health Insurance companies may be at great risk participating in ObamaCare. Some large insurers have taken a ‘wait and see” attitude. Setting insurance policy premiums can be challenging.Obamacare has already set a limit on administrative expenses and the amount that must be spent on patient care by insurers. Obamacare and Health benefit exchanges add another set of unknowns. The ACA stipulates that pre-existing illness cannot be a reason for denial of insurance. This eliminates any means of estimating risks in the newly insured. Statistically speaking young persons spend less on healthcare, which is why health benefit exchanges must sign up many young people who do not consume healthcare vs. older patients who consume much more. There is no real experience on risk pools in the ACA. Perhaps there may be some estimation by looking at previous risk pool analysis in each demographic. However the availability of insurance to previously uninsured could produce an entire new set of figures. So, despite not being able to use pre-existing conditions as a parameter for insurance, insurers such as Blue Cross and Blue Shield of North Carolina is asking enrollees to fill out health risk assesments by offering free gift cards to those who fill out the survey. In addition they are encouraging screening tests, and initial primary care visits for evaluation. It is hoped this will accelerate the rate setting process. Insurers are not confident in forecasting premium rates for 2015. Even if statistics from January 1, 2014 until mid 2014 are utilized it is still a very short time period for newly insured to obtain health care. Many uninsured can be expected to seek out health care for neglected and longstanding chronic conditions. Utilization figures could be biased by this initial demand for health services. Most statisticians would most likely prefer a 24-36 month period to determine risks. Options for Obamacare Health Insurance Policies. Depending on your level of income there are several options. 2. Use your monthly saving to put money into your self-funded medical savings accout you control. 3.Consider joining a religious group cost-sharing program such as Liberty Healthshare,Christian care, Medishare and Samaritan Ministries. 4. Seek out direct pay practices imaging centers and hospitals that offer discounts for cash-pay for only the services you choose. These practices and hospitals save significant overhead by not billing insurance companies to only be denied. 5. Consider medical tourism and purcase a ig-deductible international health insruance policy for much lower premiums that offer medical services in lower cost countries such as Chile, Costa Rica, Panama, Mexico, Singapore, Tailand, India and others. There are professional agencies that provide these services. Many foreign medical providers are educated in the United States and the United Kingdom. Your health is a political football. There are some Democrats that are disenchanted with the Affordable Care Act, however the majority still seem intent upon disregarding the early warning signs of catastrophe. This is the good news ? The White House says that 4.2 million people have signed up for coverage on the exchanges but have refused to report how many have actually paid, and are therefore enrolled. It is estimated that only 1 million of those who “signed up” were previously uninsured. These numbers fail to make a serious dent in the nearly 50 million people promised help by Obamacare. IS THE AFFORDABLE CARE ACT SUCCESSFUL ? The number of enrollees in the Affordable Care Act probably bears little upon whether it will be a success. Proponents admittedly are disappointed with the lack-luster enthusiasm for the Affordable Care Act. The most influential aspect of the Act is to guarrantee eligibility for those previously uninsured, or who have pre-existing medical conditions often used as a reason for denial of coverage. It is not affordable, universal, socialized medicine, nor a health plan. The ACA is also not uniform and differs from state to state. The decision of a state to not expand medi-cal for uninsured made it unavailable for some. Congress failed to develop a competent bill and passed a bad bill largely because of the ‘hubris’ of leaders of congress and President Obama developing a health law with little if any input that was listened to from authorities, and/or persons who work in the health care sector. Obamacare needs to be repealed, one way or another. World affairs are now diverting media and congressional attention from health to serious world affairs. “Health IT internships may be another means of meeting demands for HIT personnel in the health workforce”, according to Healthcare IT NewsDay. Although the REC programs have trained students in basic heallth information technology, hospitals and others report they have little practical experience, and are seeing an influx of students entering these programs who do not have clinical or information technology backgrounds. Meaningful Use, Stage III and ICD 10 conversion are two two features scheduled for implementation later this year. Providers have indicated the challenge of performing this change simultaneously before the deadline. HHS has indicated it will delay the ICD 10 conversion, and still insists on Meaningful Use. “The Unvarnished Truth” is what CEO Mark T. Bertolini believes is what people want to hear during tough times. Much of the controversy and tension between providers and government relates more to the timing of transformation rather than it’s content or goals. There is very little meaningul communication or response to provider comments unless the conversation becomes very loud. ONC (The Office of the National Coordinator), Four national coordinators discussed their years driving the health care information adoption over the past ten years. Startups have created competition for funding and much interest by venture capitalists in health related strategies for improving healthcare with technology. 2014 promises to be a transformative year for HIT was a discussion at a CMS Townhall meeting. Despite the challenges the United States is Set to Be the World’s Largest EMR Marketplace. Meaningful use did one thing right, filling hospitals and doctor’s offices with EMRs, despite controversy. EMR is over ten years old and is no longer in it’s infancy, and is now an adolescent. Significant growth and early maturation now have positioned the EHR to become transformed just as adolescence transforms pubsence into adulhood. Accountable Care is driving disparate hospitals to merge, be bought or buy neighboring systems. Individual organizations may very well use different EMRs. Health information exchanges, either intra or extra hospital become a vital business and clinical information structure. During and after the Affordable Care Act the HIT system must be flexible, and designed to be totally interoperable to serve health providers. In several weeks (March 31 2014) the open enrollment for Obamacare will end for year 2014. Many will pontificate on how successful or the opposite the affordable care act will be based on the initial numbers of who has enrolled. Many in health care already know that IT never solves a problem by itself. IT is there to assist or enhance operational efficiency. HBE was only necessary because HHS, CMS and Obama wanted a rush job to fuel the startup of the affordable care act. By itself the health.gov website, and coveredca.com did little to create an affordable care system. The ACA still has critical and possibly fatal flaws waiting to happen in the next several years. Despite serious and growing concern about the present state of the ACA all segments of the industry have already planned to transitiion to a new system. Although the Republicans have offered alternatives to the fractious components of the ACA any legal changes will not come until the mid-term elections, and even then it will require moral and political will to make a substantial change. President Obama has already made many changes in regard to mandates, and waivers using executive privilege. After the next Presidential election if the congress and/or presidency changes hands, the new President may use the same mechanism to amend, rather than repeal Obamacare. To be certain the current resident of the White House will use executive privilege and other administrative methods to modify ‘blocks’ to implementing the Affordable Care Act using waivers, exemptions, delaying implementation dates, and whatever means are necessary to eliminate opposition to Obamacare. The choice to opt-in vs opting out not only effects who will receive benefits in the eligible population but will have significant effects on the hospital industry. The number of outpatient surgeries outweighs the number of inpatient surgeries. Using the present fee for service reimbursement rates under FFS hospitals have been advantaged by higher reimbursement reflected by higher cost. The loss of coverage for medicaid eligible patients not only places them in jeopardy, it also creates significant differences in the infrastructure necessary to deliver these services. While ‘futurists’ attempt to predict the effects of the new law, serendipity and the butterfly effect can be expected to yield surprising changes as well. The ‘Joint Chiefs’ of Health.gov included CMS head Marilyn Tavenner, Jeanne Lambrew, HHS head Kathleen Sebelius. The group failed to find ‘actionable intel’ about how and why the website was failing for all to see They resorted to opening their laptops at the White House and tried to log on to health.gov . The initial findings were the website was not able to process the number of simultaneous users. Five days after it’s opening Todd Park, the U.S. Chief Technology officer told USA today health.gov was designed for 50,000 and 250,000 attempted to use it at the same time. The real amazing fact was that Todd Park was never involved in the design of the system. Park is a highly successful health-care tech entrepeneur. During the redesign it was found the site was designed to only handle a few thousand users. Chief of Staff Denis McDonough’s assignment was to determine if it should be abandoned entirely. Yes, on October 17 the President was ready to scrap the whole thing. Altlhough we have witnessed the growth of EMR acquisition an overwhelming number of remain skeptical. Many plan to dispose of their current EMR and invest in new systems. Medical practitioners are basically applied practical scientists, and have relied on science based on ‘big data’ derived from clinical trials and peer reviewed data accumulated over many years. It is therefore somewhat of an enigma why they would be unhappy with elctronic medical records which surely has the capability of reliably gathering and recording data and also the availabilty for analytics. The installed base by fait accompli has established an infrastructure which could be compared to vs DSL as compared fiber-optic internet This was encouraged largely by federal incentives and a rush to establish a national network. The aspects of interoperability were then layered upon the electronic medical record, and also “meaningful use’ which is a misnomer since it has nothing to do with meaningful use on the provider side of the equation. Meaningful functionality was neglected in encouragement of ‘the adoption of EMRs. Caution was advised over a decade ago that the current generation and versions of electronic health records was ill suited to the task. 2. The data entry in the form of clinical history, and physical examination input is not in the structure that physicians use in conventional medical written medical records. This creates more distraction and loss of efficiency as the provider struggles to be accurate in recording a clincal encounter. Some EHRs force the provider to enter some date prior to moving along to the next step. After some time Providers familiarize themselves with the routine flow, however many times there may be an entry or section with which the provider is not familiar. These systems were not designed in an era of user friendly, nor intuitive navigation in the Electronic Health Record. Graphic User Interfaces (GUI) are almost unknown in most EHRs. 3. Medical Economics published a recent survey of providers revealing the significant majority of MDs (75%) who are very dissatisfied with their present electronic medical record. And now many plan to replace their current system. 45% of 967 respondents to the survey indicated patient care is worse with EHR devices, and 67% said their investment was not worthwhile. The good news is that the IT industry is eager to profit from this revolution of Health Information Technology. The Industry has a specialized organization known as the Health Information Society, also known as “HIMSS”. The group has a collection of IT, health consultants, physicians, hospital administrators (CIOs, CTOs) and others who collectively work together to advise the industry, vendors, and software developers about what is needed by health providers and data analystis. Black Book ranked EHR providers for 2014 scoring vendors across six different client experience categories. EHNAC and WEDI will certify an assurance of quality and functionality of software for providers..The goal is to enhance usability for providers. This is a step in the right direction. In late February 2014 the Institute on Medicine’ Roundtable on Value and Science Driven Health Care published a discussion paper on Return on Information….a standard model for assessing institutional return on investments for electronic health records. The formation of accountable care organizations presents many challenges, and many needs for information technology to synthesize patient care across a continuum. Measurements and a standard model are needed to compare different institutional experiences implementing different technologies and approaches for accountable care organizations. While the emerging roles of patient, family and public participation are acclaimed to be a necessary componet for improved health the IOM discussed the changes as possibly disruptive innovations on affordability, quality and outcomes in health and health care.